Apple is considering alternative ways to mount sensors, indicators, switches, and other elements to create devices and components like a flexible display, including attaching parts to an elasticated substrate that is capable of transmitting data between individual components. Granted last week by the U.S. Patent and Trademark Office, the patent for "Electronic devices with soft input-output components" describes ways that a stretchable and deformable elastomeric substrate layer could be used as a form of circuit board for a device. Rather than using wires or a rigid board as typically used, the substrate would be flexible, so not bound to a specific shape, and capable of being stretched in various directions. The substrate is suggested to have signal paths running between where components are mounted on the surface, with holes potentially able to be added between the paths to create a form of mesh material, to aid stretching, or to allow it to fit into the desired design aesthetic. Areas between signal paths could also be made much thinner, saving on material usage and weight, as well as for additional stretchiness. The components are attached to the elastomeric substrate by pre-placed interposers with solder pads. These interposers would enable the signal to transfer to the connected part via the solder pad. As for the components themselves, Apple suggests that various sensors could be attached to the material, as well as combinations of micro LEDs and photoluminescent material. This last element effectively suggests the use of the material to create a flexible or even stretchable display. 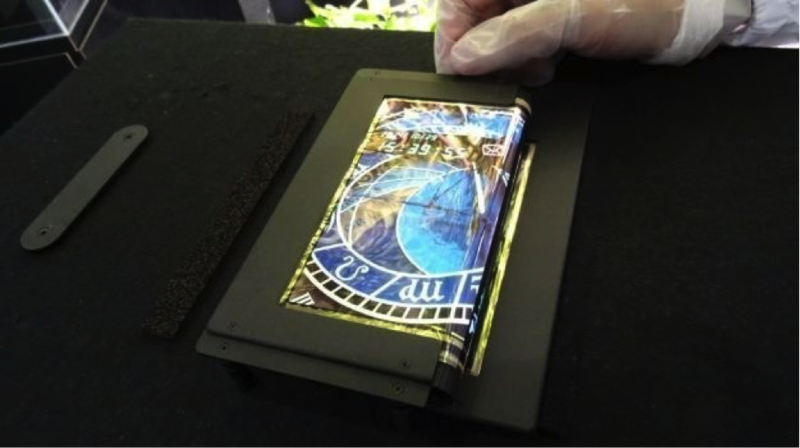 The printing of thin-film circuitry on the substrate is also highlighted as a possibility, for controlling LEDs in a stretchable display or for controlling other interface elements. In arguing the concept's case, Apple suggests it to be "challenging" to create an input-output interface into a device, with reliability concerns, form factor considerations, and other elements that could make it "difficult or impossible" to use existing technologies. 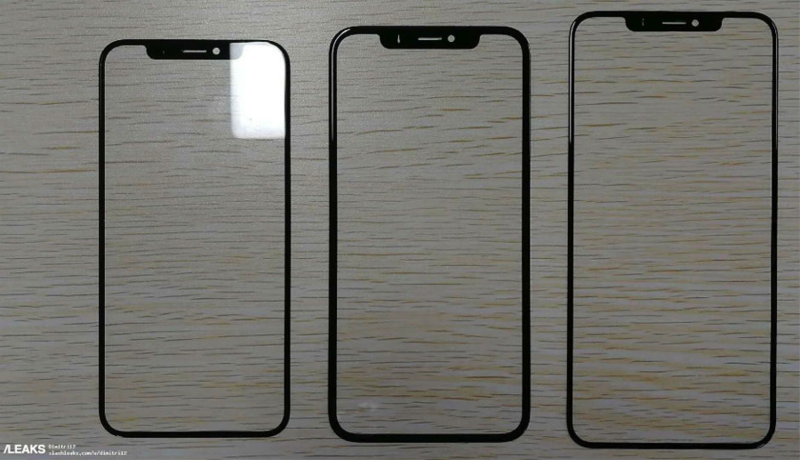 For flexible devices, Apple reasons traditional displays and touch sensors used in these sorts of products "may be subject to stress-induced failures." Apple initially filed the application on October 17, 2016, and credits Hoon Sik Kim, Yung-Yu Hsu, and Paul S. Drzaic as inventors. While the information about the hardware of the new iPhones is scarce, it is rumored that the 6.5-inch “Plus” device will be offered in white and a new gold color. 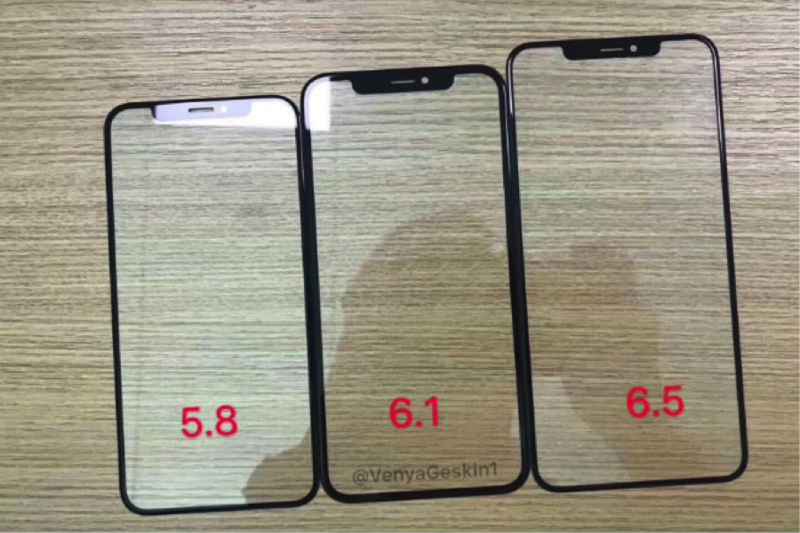 The 6.1-inch LCD iPhone is expected to launch in grey, white, blue, red and orange colors. As far as the pricing is concerned, Apple is expected to launch the 6.5-inch OLED phone for $900-$1,000, the 5.8-inch OLED device for $800-$900, and the 6.1-inch LCD iPhone will be priced at $600-$700. Apple is also expected to launch a string of new hardware at its September event.